Sponsorships. They’re the first thing you think of if you’re asked how podcasts make money. But did you know they’re not the best way for podcasts to make money? At We Are Podcast 2016, we had a panel of industry experts sit down and explain how they made podcast sponsorships work, with one panel member saying he is doing his best to move away from ads. Here’s a few choice bits of advice they had on sponsorships. Sponsorships should not be your topmost priority. Instead, focus your energy on building a good show and finding a real audience. Unless your initial listenership is already through the roof, you’ll probably not have enough people listening to warrant sponsorships that can pay the rent. 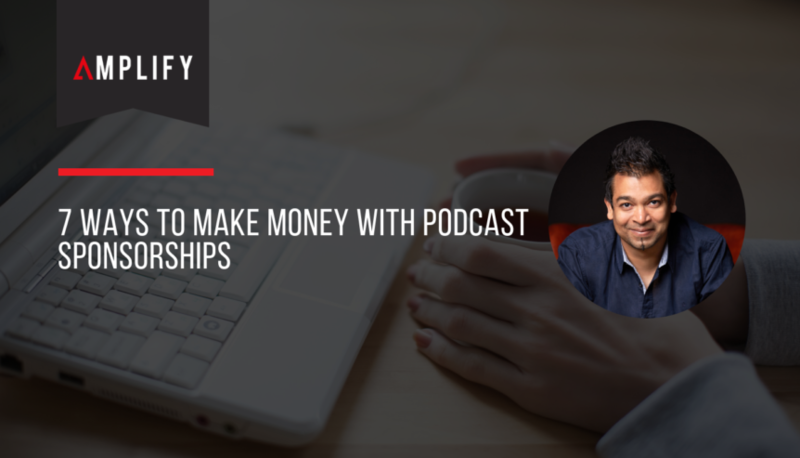 It’s quite difficult to earn money early on in your podcast’s timeline. Like we said, you probably won’t have the numbers to charge advertisers enough for sponsorships to even be worth the hassle. Instead, focus on a product or service that you can pitch throughout the show and on your website. It may be membership to a club or a physical product, but it’s likely to bring in more revenue than ads. Even if you’re able to run 10 ads at the onset of your show, you probably won’t want to. The first listeners you get that come in and are smacked in the face with 10 minutes of advertisements are probably not going to come back. The advertisers won’t be getting the conversions they expected, soon leaving you. Sponsorships can be a good idea, though, particularly for building relationships with brands. If you run advertisements for a specific company, you may be able to pitch some sort of long-term deal where their product is featured on your website, for example. You might be tempted to sell cheap ad space to some bespoke blue jean company, but chances are it’s not going to be worth your time. They’re inevitably not going to see the conversions they want, and will either be upset with your deal or maybe even unable to pay you. Build up your show and go for the big-ticket names instead. Some advertisers like offering goods or services in exchange for advertising. In most cases, this isn’t worth it. They’re likely undercutting the value of the good or service and you’d be much better off taking the money. If they want to add it in addition to a payment, that could maybe work. In all honesty, sponsorships are usually not what you should be aiming for. They’re not very profitable, difficult to come by and are not the sustainable model that most podcasts are using. You should be focusing on building your show, promoting a product or service and just trying to make the best podcast possible. Down the line, bigger sponsorships might be worth it. Listen to the entire podcast episode here.